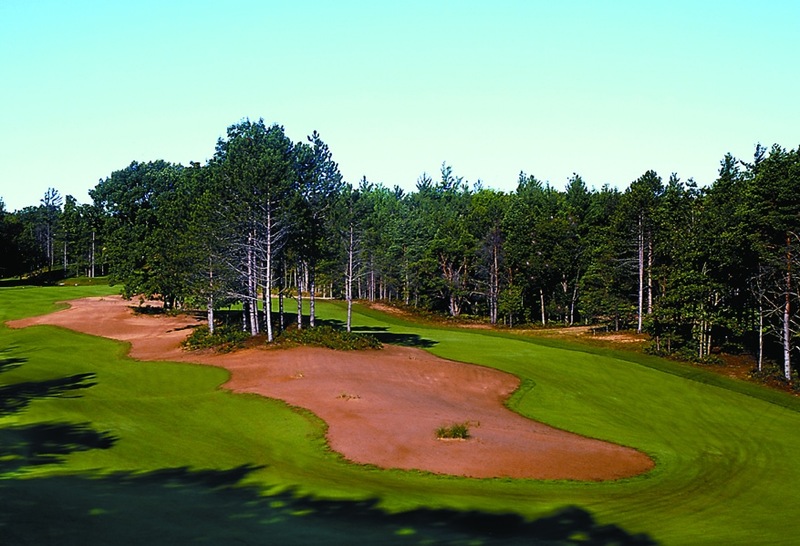 Opened in 2002, Hemlock Golf Club is conveniently located just outside the city of Ludington. It is known as one of golf’s best values in Michigan. Designed by nationally acclaimed architect Raymond Hearn, Hemlock Golf Club is a very formidable 18-hole, 7044-yard course from the championship tees and the epitome of picture-perfect playable golf from the other four sets of teeing areas. Sculpted from natural landscape that features rolling topography, unspoiled wetlands, deciduous and evergreen forests, and unique sand dune formations, Hemlock Golf Club has received rave reviews from Golf Magazine, Golf Digest, and The Wall Street Journal.